An Educational platform for Preparation and Practice Class 1. Kidsfront provide unique pattern of learning English with free online comprehensive study material in the form of QUESTION & ANSWER for each Chapter of English for Class 1. This study material help Class 1, English students in learning every aspect of Vowels . Students can understand Vowels concept easily and consolidate their learning by doing Online Practice Tests on English,Vowels chapter repeatedly till they excel in Class 1, Vowels . Free ONLINE PRACTICE TESTS on Class 1, Vowels comprise of Hundreds of Questions on Vowels , prepared by the highly professionals team. Every repeat test of Vowels will have new set of questions and help students to prepare themselves for exams by doing unlimited Online Test exercise on Vowels . Attempt ONLINE TEST on Class 1,English,Vowels in Academics section after completing this Vowels Question Answer Exercise. Topic wise:Vowels preparation in the form of QUESTION & ANSWER. Evaluate preparation by doing ONLINE TEST of Class 1, English,Vowels . Attempt repeat ONLINE TESTS of English Vowels till you excel. How many vowels are there in English alphabets? The letters of English other than vowels are called as..? Which alphabet in English is sometimes considered as the sixth vowel or a semi-vowel? 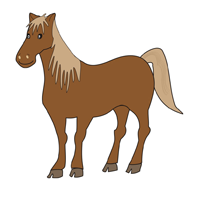 What are vowels used in the name of this animal shown in the picture? Which among the following words start with a Vowel? Which is the fourth vowel of the English alphabet in order? Which of the following word has 4 vowels?